Classes offer a fun mix of rhymes, songs actions and props to educate young children and keep them entertained, as well as helping them to develop language, communication and social skills. All classes help to promote learning, co-ordination and movement in young children. Classes include many children’s favourite songs, including Dingle Dangle Scarecrow, Music Man and Horsey Horsey and parents are encouraged to join in to ensure that children get the most from classes. 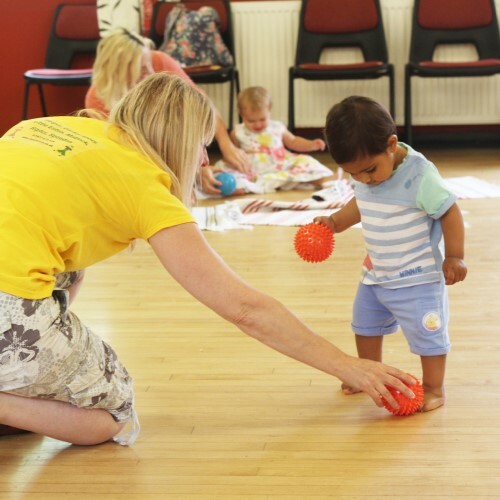 Lively classes with mixed ages covering ages 0 up to 5 years old, with nursery rhymes, songs, action rhymes and a variety of exciting, educational and stimulating props, including parachutes, bubbles, instruments and puppets. We get a lot of parents with two children of different ages attending these classes. Aimed at ages 3 to 5 years, these classes have been designed for children who can follow instructions. We will often hunt for bears, eat jelly, teach animals the alphabet, get chased by crocodiles and dance with the Funky Monkey, amongst other things! Put on your dancing shoes, search for your nearest class here and book a place using your Little Starts gift card.